I love discovering new places in Sydney, it makes me feel like a tourist in my own city. 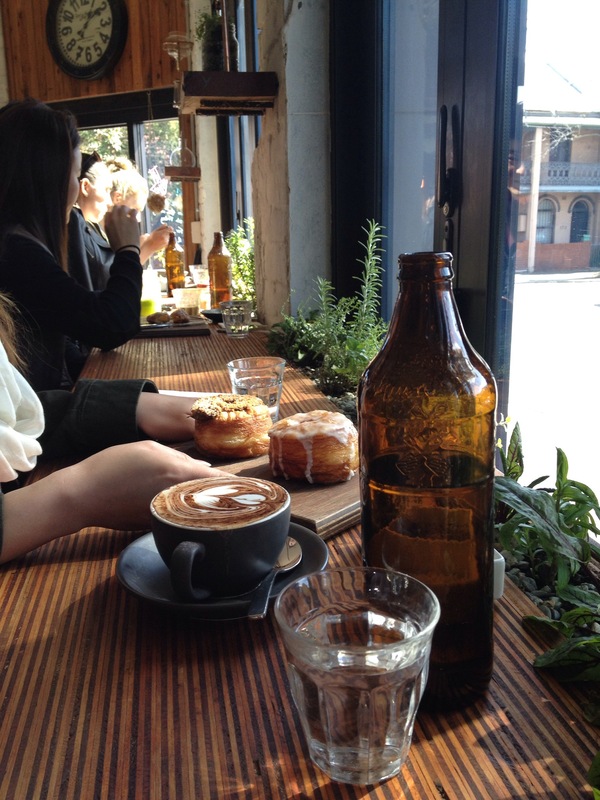 I usually go to the same local areas when I’m eating out but I’m slowly working my way around Sydney and it seems the inner west is a hot spot for new trendy cafes. John Smith Cafe is located in Waterloo, near Alexandria. The only time I’ve been to Alexandria was to go to The Grounds, but this time I walked from Redfern Station. It’s a nice short walk and you discover things you’d usually miss when you travel by car. Who knew there were so many factory outlets on Gibson St, I managed to nab a few bargains along the way at Cotton On. You can’t miss the cafe as its Gold Copper signage can be seen from a mile away. It’s small and cosy inside with a very organic feel. It was a beautiful sunny day, and we got a seat by the window, which had cute micro plants lined up along the window seal. 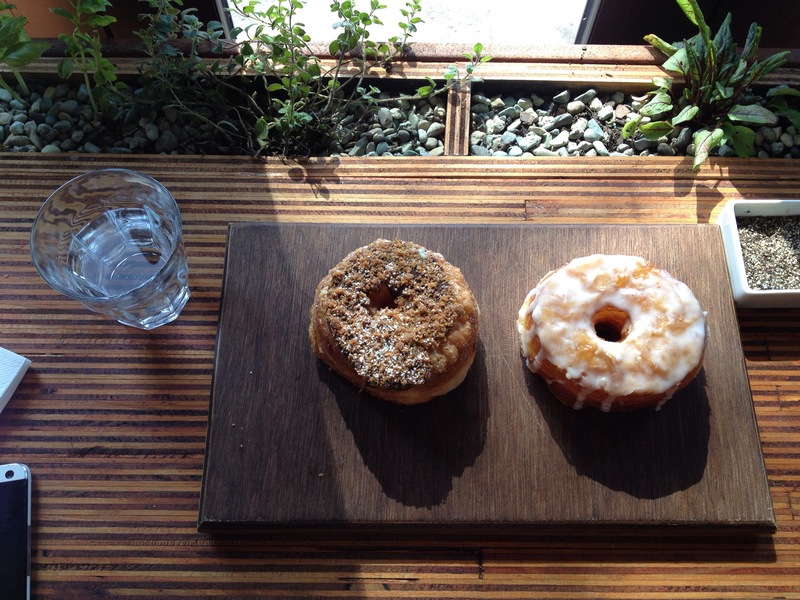 First things first, we had to order the cronuts. I’m officially a self-confessed cronut addict and a good one at that. 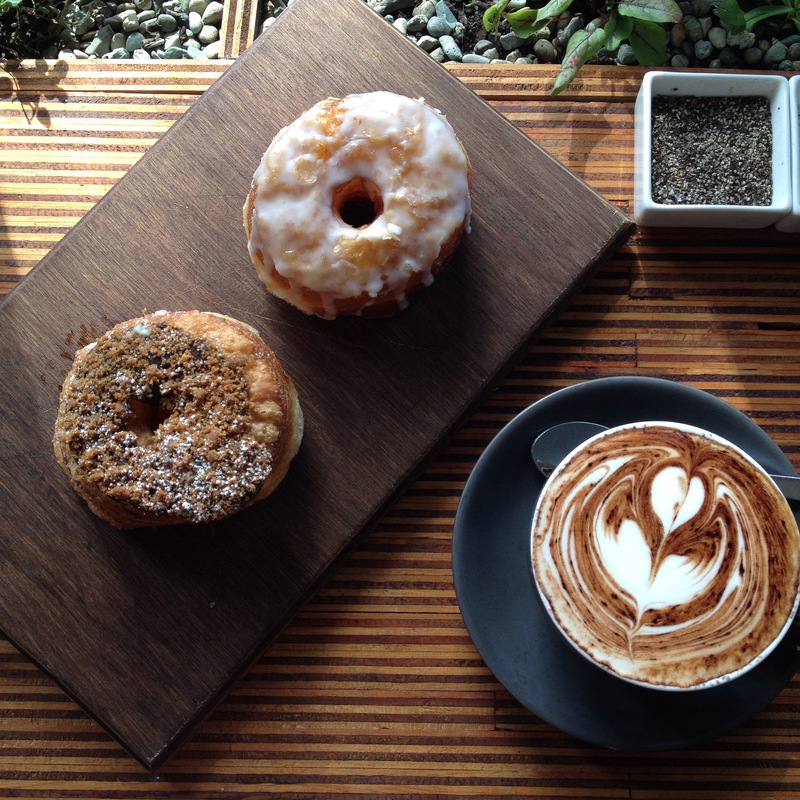 Here’s me with a chocolate and glazed cronut, with a cappuccino on the side. 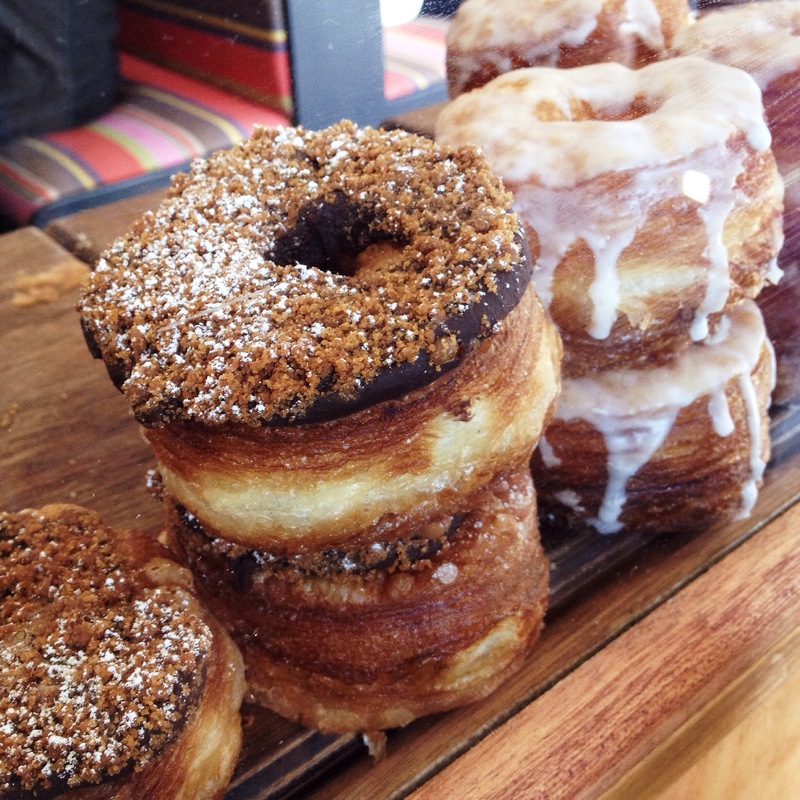 It’s no surprise that these cronuts are amazing, as they’re stocked from Brewtown Newtown. The glazed will forever be my favourite. Simply heaven in your mouth. 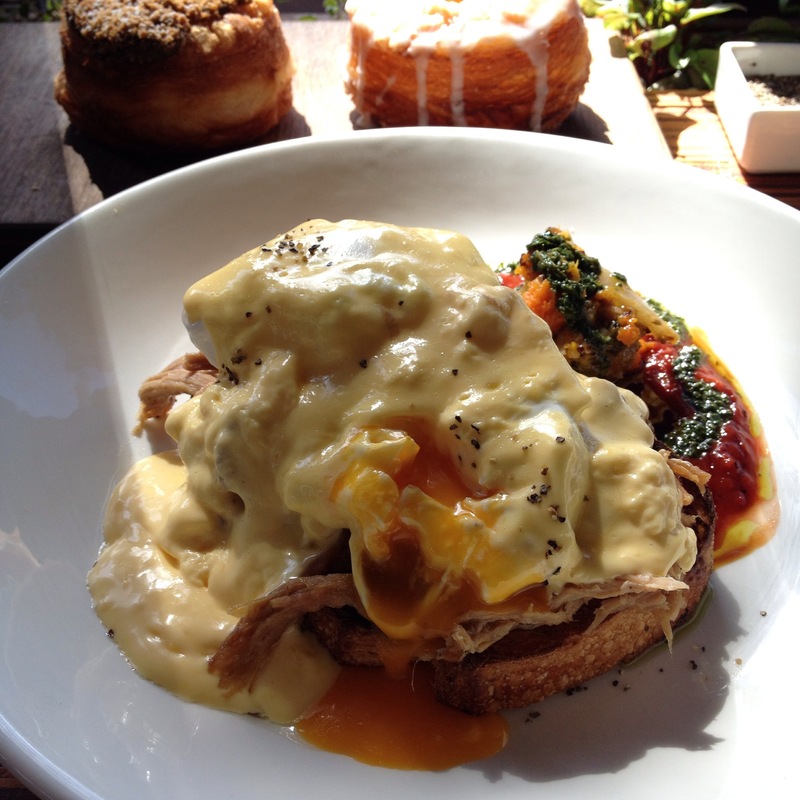 I also had to try their Pulled Pork Eggs Benedict that I had seen so many mouth watering photos on Instagram. You must try this dish when you come here! 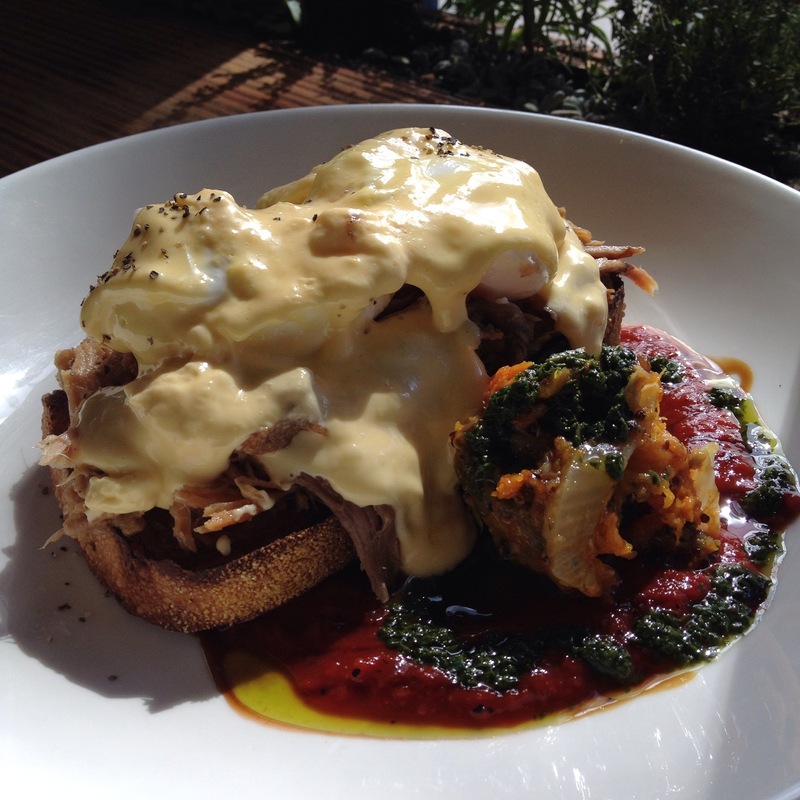 Pulled pork and poached eggs with that buttery hollandaise sauce is a match made in heaven. That side salad gives the dish balance and cuts through the richness of the eggs perfectly. 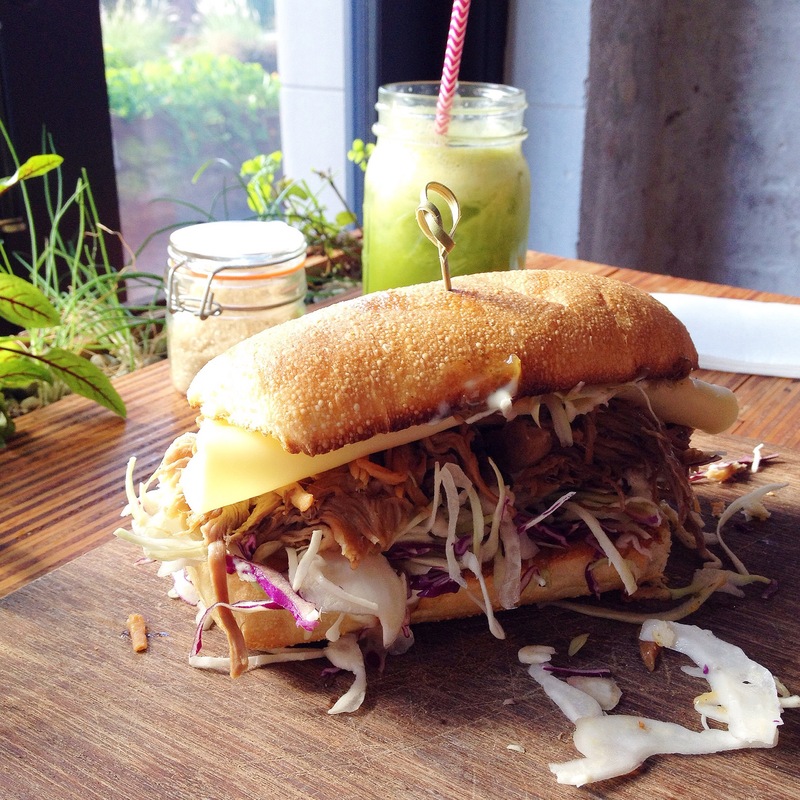 My friend ordered the Pulled Pork sandwich with mango chutney. Apparently the mango chutney is what makes the sandwich and that melted cheese – who could say no to that. They also do fresh cold pressed juices such as kale and apple. 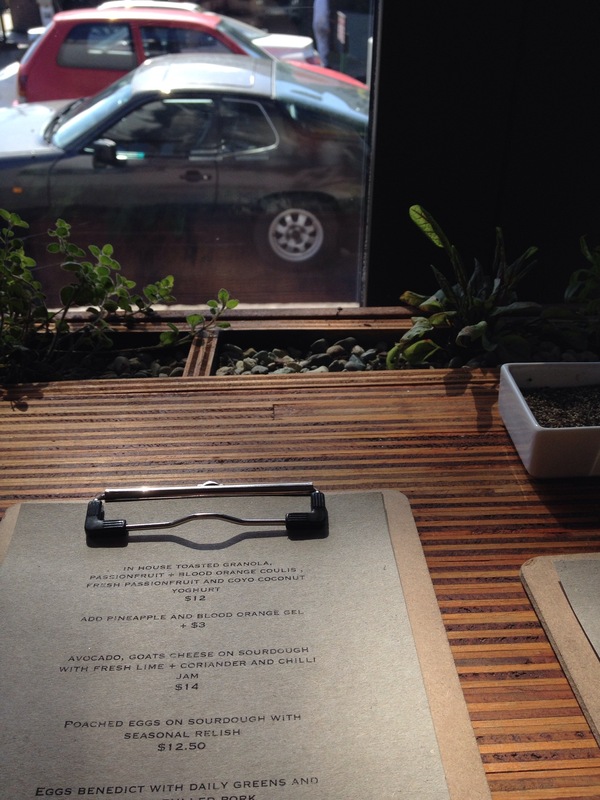 There’s so much more on the menu that I want to try and I can’t wait to come back next time.